Workflow Sample: Episode 504: Auto-saving of Audit Documents to Dropbox! Episode 504: Auto-saving of Audit Documents to Dropbox! "What a cumbersome it is to submit documents to the audit firm!" 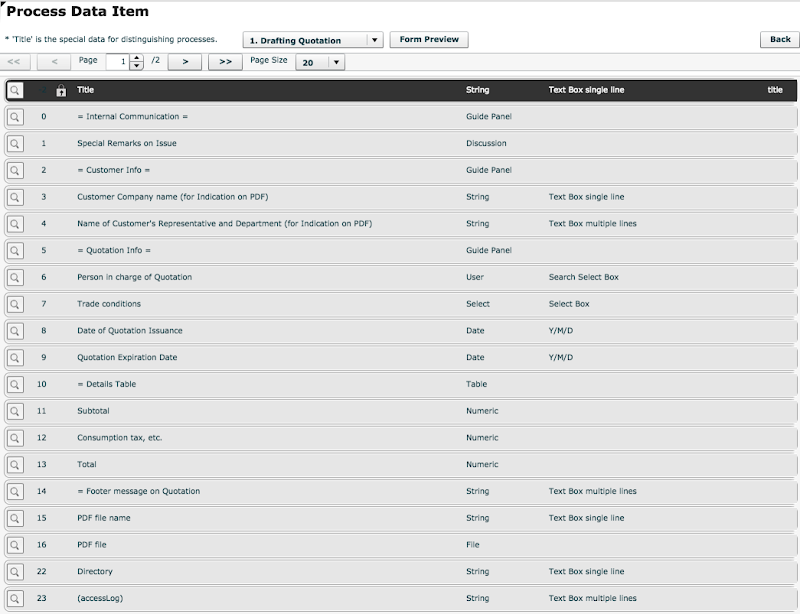 In the Workflow below, quotations that resulted in a contract will be shared in real time. It's nothing so special, just a scheme that digital file to be uploaded successively to a folder in Dropbox which is managed by the audit firm. This is so-called "Unmanning". In addition, there won't be mistakes, since no human being to select "necessary documents" to put into copying machine. And searching for files is also easy. Therefore, it increases matters that they can invest in advance, and occasions of visiting auditees would be reduced. * To add this Step to existing Process Model, you obtain [Add-on XML], and import it into a Model as function addition file (Process Model file) in advance. To run this scheme, you are required to make configurations of folder (apps registration) on the Dropbox Platform side beforehand. * If you are an auditor, you create "apps" for each client. 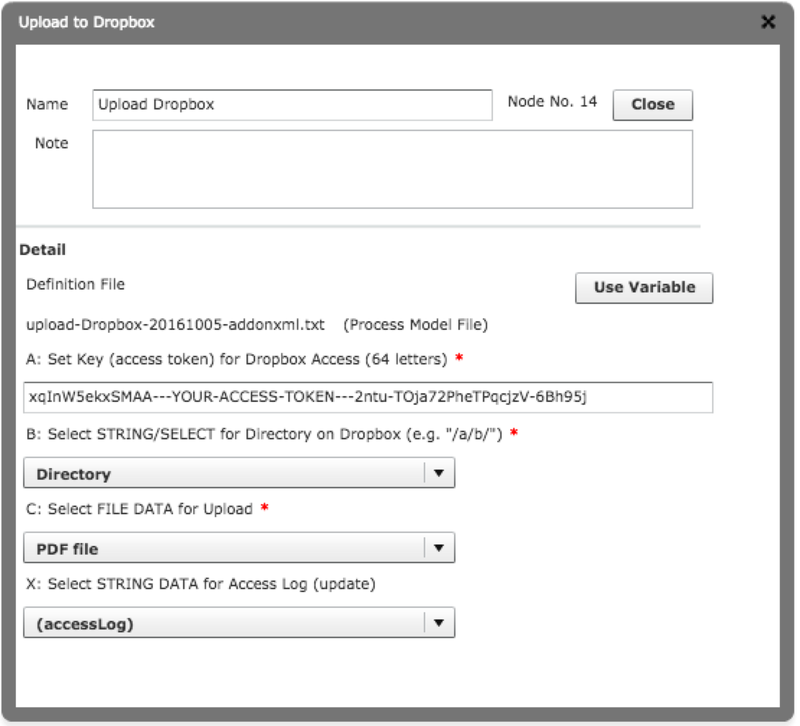 Once you have made configurations, file data in an Issue will be uploaded automatically to Dropbox Platform folder each time the Issue reaches to the Step of [Upload Dropbox]. Note that this data transmission goes through "Dropbox APIs". You should be noted that "Ver.1" of Dropbox API is used here, instead "Ver.2". We use it inevitably, because "Questetra BPM Suite" doesn't fit with "Ver. 2". And the "Ver.1" might become unusable since June of 2017. However, "Questetra BPM Suite" will fit in with "Ver.2" in the near future. And a new Add-on XML would be published soon after that. 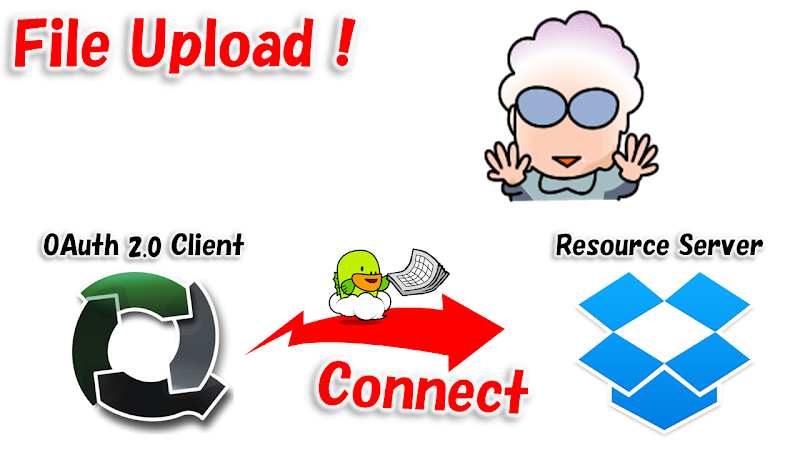 So please remember to substitute the part of [Upload Dropbox] with new one, at that time. 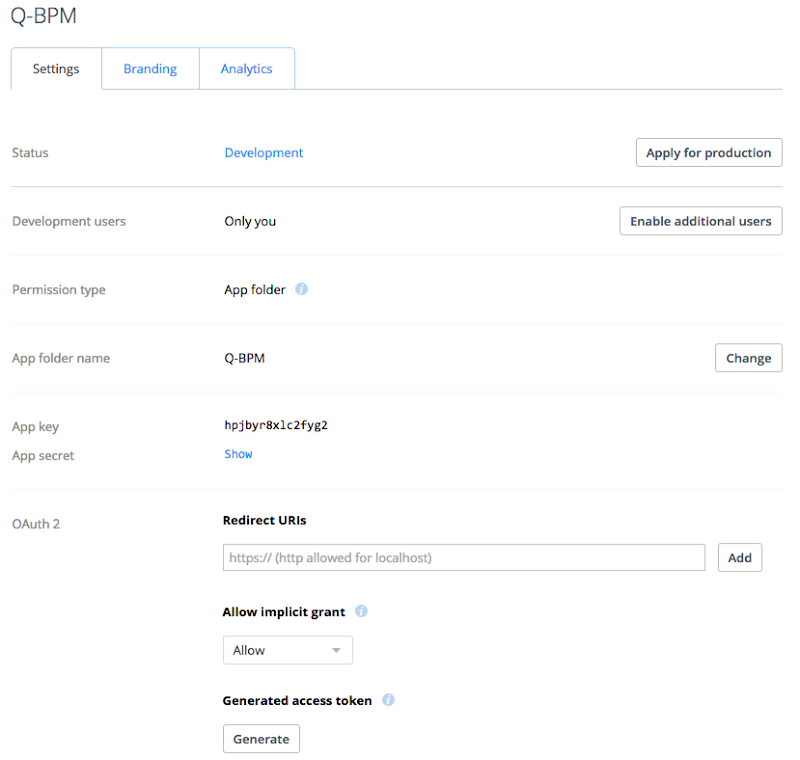 * As of October 2016, "Questetra BPM Suite" is not capable of adding header information of any, in HTTP request transmission. That is, the most of the formats are permitted if it has "header information that starts with X-", whereas, if "does not begin with X-", many of those formats are not permitted. And headers like "Dropbox-API-Arg" are not permitted currently. * Speaking a bit technical, this automated Step transmits on a method that does not use [OAuth 2.0 configuration], as the scheme of communication permission in Dropbox is a rare specification in which Access Token is not refreshed. What is “Automation” of Workflow?